BUENOS AIRES - U.S. President Donald Trump reaffirmed Friday in a meeting with South Korean President Moon Jae-in that he wants a second summit with North Korea’s leader, the White House said. 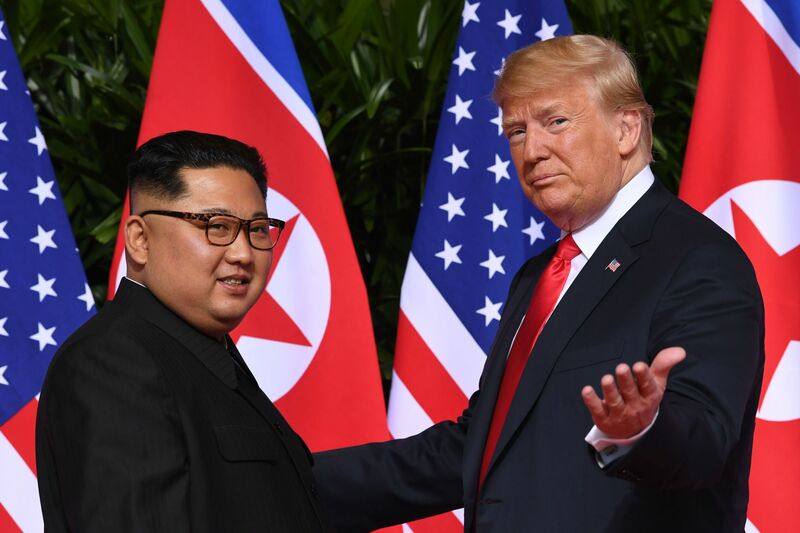 Trump and Moon, meeting on the sidelines of the Group of 20 summit in Buenos Aires, “reaffirmed their commitment to achieve the final, fully verified denuclearization” of North Korea, Trump spokeswoman Sarah Sanders said. They agreed on the need for “maintaining vigorous enforcement of existing sanctions to ensure the DPRK understands that denuclearization is the only path,” Sanders said, using the North’s official name, the Democratic People’s Republic of Korea. 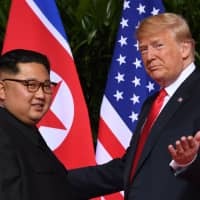 However, Trump made clear that he also wants to follow up on his historic June summit in Singapore as he tries to persuade the reclusive regime to give up its nuclear weapons. Secretary of State Mike Pompeo was due to meet with a top North Korean official in early November, but the meeting was abruptly put off, with North Korea insisting that the United States ease sanctions.